We tend to think of citizenship as something that is either offered or denied by a state. Modern history teaches otherwise. Reimagining citizenship as a legal spectrum along which individuals can travel, Extraterritorial Dreams explores the history of Ottoman Jews who sought, acquired, were denied or stripped of citizenship in Europe in the late nineteenth and early twentieth centuries—as the Ottoman Empire retracted and new states were born—in order to ask larger questions about the nature of citizenship itself. Sarah Abrevaya Stein traces the experiences of Mediterranean Jewish women, men, and families who lived through a tumultuous series of wars, border changes, genocides, and mass migrations, all in the shadow of the collapse of the Ottoman Empire and the ascendance of the modern passport regime. Moving across vast stretches of Europe, the Middle East, Asia, and the Americas, she tells the intimate stories of people struggling to find a legal place in a world ever more divided by political boundaries and competing nationalist sentiments. From a poor youth who reached France as a stowaway only to be hunted by the Parisian police as a spy to a wealthy Baghdadi-born man in Shanghai who willed his fortune to his Eurasian Buddhist wife, Stein tells stories that illuminate the intertwined nature of minority histories and global politics through the turbulence of the modern era. 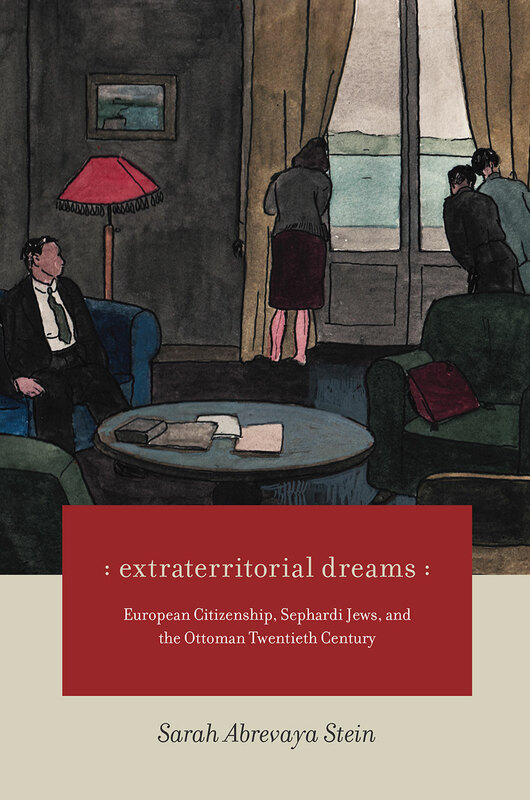 "Stein’s excellent and insightful Extraterritorial Dreams presents the difficulties, ironies, and vexations of Jewish 'nationality' in the twentieth century. In so doing, it traces historical threads that take us from the early modern period to the present day, from the Bronx to Baghdad, and to numerous places and moments in between."